Do you want to build some serious muscle over the next 90 days? 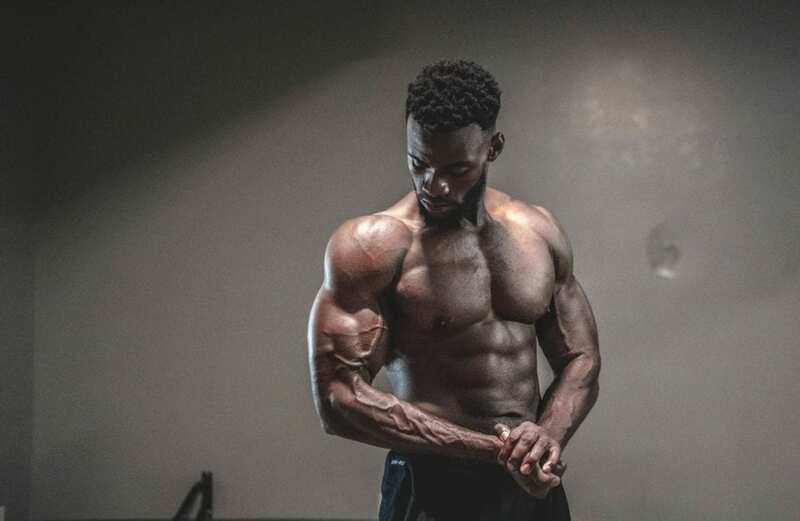 If you said YES, then you’re in for a real treat because in this blog I’m going to share a plan of action that if followed will lead to a bigger, stronger and more aesthetically pleasing physique! I’m going to give you a FREE 12 Week Muscle Building Plan of Action, and provide video demonstrations of the exercises. I’ll also explain the plan in greater detail, giving you a clearer understanding of EXACTLY what you need to do and how you need to do it! The 12 week muscle building program is full of the best exercises to help you get bigger and stronger. A compound lift means that an exercise hits multiple muscle groups, for example when you do a bench press, you hit the chest, shoulders and triceps. These type of exercises give you more bang for your buck, meaning better results and less time in the gym. DB curl squat press – which pretty much hits every muscle in the body! Lots of guys spend way too much time performing isolation exercises like dumbbell curls, tricep push downs, and lateral raises – whilst these exercises are good and still important, it should be more of a priority to improve your compound lifts. For example you’ll get a much bigger pair of arms by doing pull ups correctly (compound lift) compared with doing dumbbell curls (isolation lift). What I like about the LEP Fitness muscle building plan is that workouts are short. BUT Don’t confuse short with easy! they are still really hard workouts, but you don’t have to spend hours in the gym. In fact I’ve planned the sessions to be short, you’ll be in and out of the gym in 45 minutes! This is because I’ve chosen compound lifts which means that you don’t have to do as many exercises. Win Win! Lots of guys make the mistake of letting their fitness go whilst trying to bulk up. They eat way to much food, gain lots of body fat and end up slow and sluggish. Some guys can’t even jog a mile without getting out of breath! Keeping your fitness strong is absolutely imperative, it will help you train harder, last longer and also recover between in between sessions. Improving your fitness via the cardio workouts that I’ve designed in the 12 Week Muscle Building Plan will keep body fat at bay, improve circulation, increase muscle pumps and just generally improve overall performance and body confidence. Each week you’ll be doing 2 HIIT cardio workouts to keep you sharp and athletic. 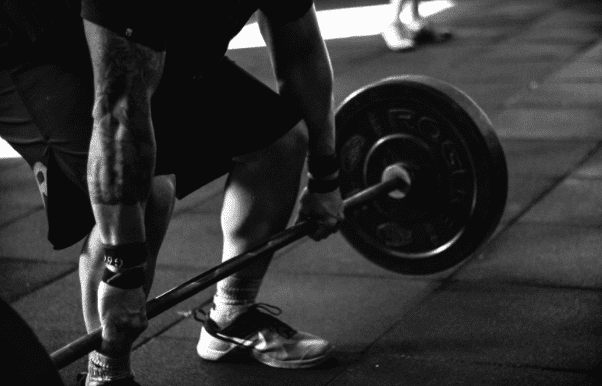 You’ll be training 5x per week. There are 10 different workouts – 6 weights sessions and 4 cardio sessions. These 10 sessions are completed over a 2 week period. Once you’ve completed 2 weeks, you go back to Week 1 again and repeat until the 12 weeks are up. Warming up will prevent injury and also get your central nervous system ready for action, this will increase overall strength, focus, and improve workout performance. Rest 90s in between each set. 20s rowing as fast as possible, followed by 40s slow rowing, repeat this 15x – totalling 15 minutes. Rest 60s in between each set. 1 minute run on 15% gradient, followed by 60s slow recovery walk. 1 minute run on 10% gradient, followed by 60s slow recovery walk. 1 minute run on 5% gradient, followed by 60s slow recovery walk. 1 minute rowing as fast as possible, followed by 60s rest. Repeat this 5x. 30s cycling as fast as possible, followed by 30s slow rowing, repeat this 15x – totalling 15 minutes. The exercise is hugely important and makes up 50% of the overall puzzle, but the other 50% is the ‘Nutrition’ which is just as important. I’d recommend eating at least 4x per day, and consuming lots of protein. Foods rich in protein include: chicken, turkey, mince, steak, eggs, whey protein, nuts, cod, salmon. Protein should be included with as many meals as possible. Ideally you want to be consuming at least 30g of protein with each meal (more if possible). Alongside the protein I’d also recommend eating plenty of carbohydrates, especially on training days. Carbs will help fuel your workouts, increase muscle pump and they also taste pretty good too! I’d recommend carb choices like pasta, rice, potatoes and some occasional bread (unless you have allergies and intolerances to wheat, gluten, etc). Fats are also important for a healthy brain, joints and skin. Im a big fan of fatty foods such as fish, red meat, nuts, avocado, peanut butter and eggs. It’s a really straight forward plan to follow, with over 40 different meals to choose from. I give you 10 different breakfast choices, 10 lunches, 10 dinners, and 10 snacks to select from each day. The meals are tasty and easy to prepare! The weight should test you each set, the last 2-3 reps should take you to your limit. It may take you a few weeks to find your feet, especially if you’re a beginner. As long as the weight is challenging you that’s good. If you are using bad form then lower the weight and leave your ego at the door. If the weight is too easy then increase it. How do I know I’m getting fitter and stronger? I’d recommend tracking your workout every session, use a gym diary and record the weight lifted and number of reps. Each session aim to beat the last time you did the workout. How quickly will it take to see results? The harder you train the quicker you’ll see results. You need to train hard, but also eat well and get plenty of sleep and rest. Do I need to lose body fat before bulking? Great question! It’s best to start a bulk being lean (under 15% bodyfat) if you are above this then I’d recommend doing a 4-12 week fat loss phase before starting the plan. I’d recommend trying the 28 Day Keto Challenge for fast weight loss results. Do you need to follow the nutrition plan or can you just do the exercise plan? How do I know if I’m doing the exercises correctly? If you are unsure of whether you are training correctly then I’d recommend hiring a personal trainer to help guide you through the techniques. A good trainer will be able to take this plan and teach you the exercises correctly so that after 3-5 session you have greater confidence doing them yourself. If an exercise hurts should I still do it? If you are experiencing pain during any exercise then stop. Feel free to change the exercise to one that suits you better. If you’re unsure then ask and expert personal trainer for advice. It’s up to you, don’t over do it though. If you wanted to try some supps I’d recommend a good whey protein – like optimum nutrition gold standard whey. I’d also recommend creatine (5-10g per day), some ZMA, vitamin D and turmeric. Supplements will help but they are a small part of the puzzle. Thanks for reading, and let me know how you find the 12 Week Muscle Building Program!